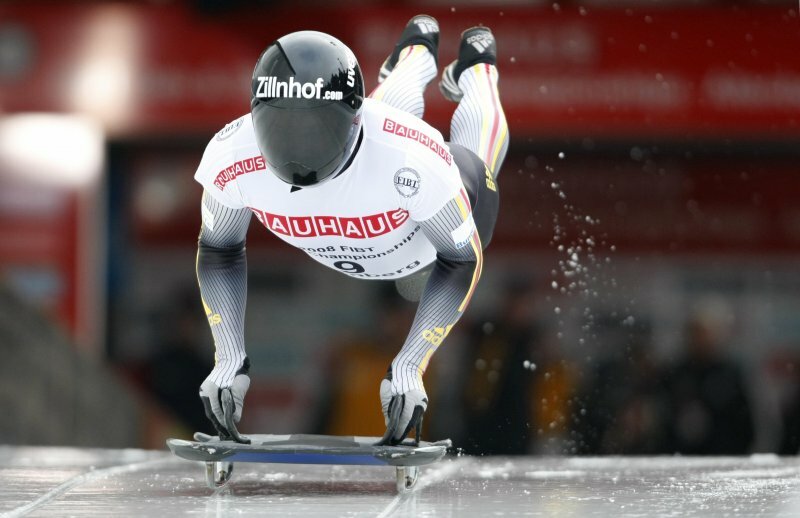 Latvia's Martins Dukurs won another Skeleton World Cup stage, this time at the Koenigssee Track in Germany. Dukurs posted the best results in both of his runs, and finished 0.34 seconds ahead of Sandro Stielicke (Germany), informs Leta. On the other hand, Latvian Tomass Dukurs finished the race in overall seventh place, 0.89 second behind Dukurs. There are two Skeleton World Cup staged left before the Vancounver Olmypics. M.Dukurs remains in first place in the Skeleton World Cup at the moment. LETA also reported, this season's Skeleton World Cup will have eight stages, with the season ending in January in Austria. On the other hand, the Skeleton World Cup season will be followed by this year's Vancouver Winter Olympic Games in February. Last season, M.Dukurs finished the Skeleton World Cup season in overall 6th place, whilst T.Dukurs finished in overall 16th place. would.Tati - used to do sport in this school!